Ordinary workers come together in UNISON to win fairer, healthier and more productive workplaces. The union’s staff work hard to enable members to lead the work, set priorities, and build the union. 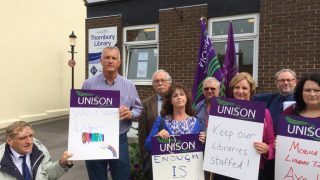 Each UNISON region has a Regional Secretary who is in charge of the day-to-day running of the union and is responsible to the General Secretary. UNISON’s current general secretary is Dave Prentis, who was elected by members. In the South West our regional secretary is Joanne Kaye. Setting our regional objectives is one of the tasks of our elected committees of members, or “lay committees”. Staff then work alongside volunteer activists to achieve these aims.